We have already discussed how candidates perceive video interviews in an earlier blog post, and this time we will dive into the practicalities of answering video questions from the candidate’s perspective using data from Candidate Survey 2019. We have been running candidate surveys since 2015 where we asked feedback directly from the candidates. This year we hit our all-time high number of respondents - 37 860 candidates! This survey was conducted between January - December 2018. You can find this and previous candidate survey reports on our Resources page. 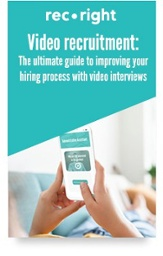 Overall, according to our 2019 candidate survey, 83% of candidates are satisfied with their video interview experience, and 84% recommend incorporating videos in hiring processes. How much time do candidates spend on video interview? According to our findings, more than half of the candidates spend 40 minutes or less, and nearly 20% spend less than 20 minutes recording answers to the interview questions. Survey results say that 75% of the candidates record less than five takes per video question before they are happy with the result. This goes to show that participating in a video interview doesn’t take much from a candidate and at the same time gives them a chance to shine! Of course, these figures vastly vary based on the number and type of questions asked and the given time limit. 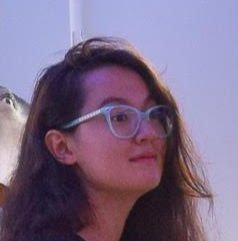 Some questions might be as simple as “Tell me about yourself in one minute” or as hard and demanding as “How would you develop our current marketing to enter the Chinese market?”. We recommend asking candidates a maximum of 5 questions, and so does the majority of recruiters. If you are new to video interviewing, read our tips and get some interview question ideas to get started! The candidate survey answers other questions regarding candidate experience, including how they wish to be informed about the progress of the recruitment process and how satisfied they are with the tool used. Download it below!